"The chakka is something marvelous to see, being as big as a great lamb, or a child of three years old," said John Margnolli, the Venetian traveller who visited South India in the 14th century. He was referring to the jackfruit, which sadly has not always fascinated gourmets. 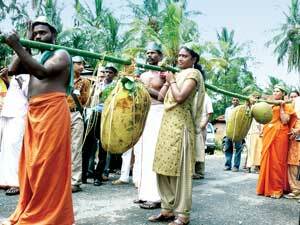 The poor man's food was the subject of a three-day festival in Trikkaipetta in Kerala's Wayanad district. 5,000 visitors thronged the stalls between June 5 and 7. They had their hands full with 88 jackfruit dishes including chakka halwa, chakka payasam and chakka chips. A cookery competition was the highlight of the show organized by the Kerala based non-profit, Uravu.